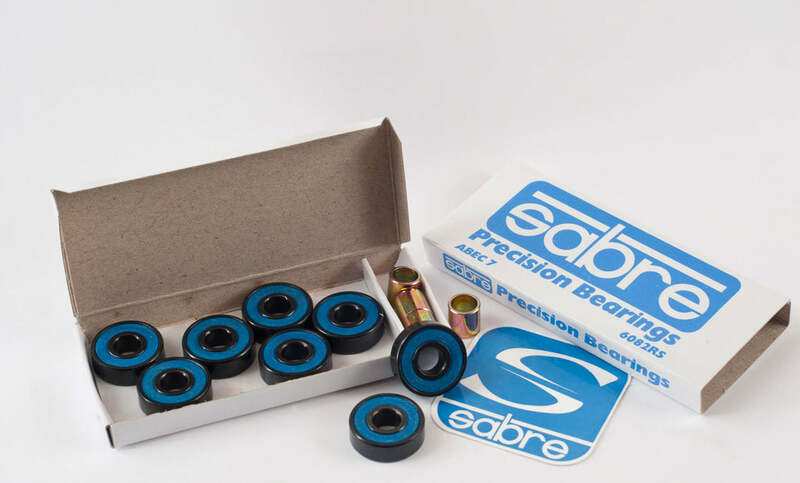 Click here to be notified by email when Sabre Trucks Abec 7 Bearings becomes available. 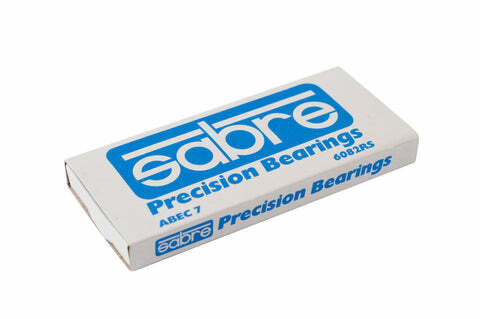 Possibly the finest all-round skate bearings out there.... we have tried countless different combinations of shield seal, ball material, cage configuration, and come up with this, the Sabre ABEC 7 skate bearing. 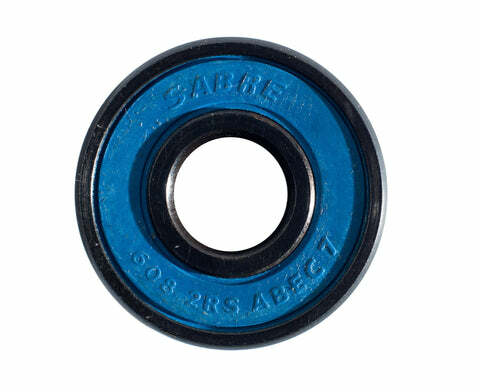 Removable rubber labyrinth shields protect 7 steel balls in precision-ground deep races. ABEC rating for the kids, we all know it makes no difference.... the important thing is the shielding, which doesn't get any better. 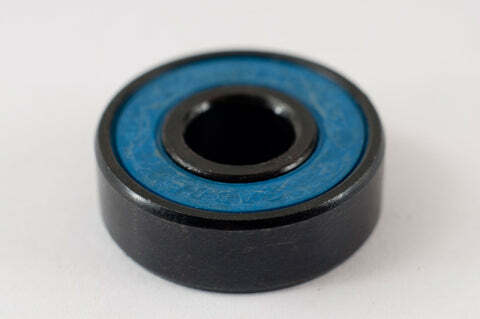 Come in a pack of eight with 4x10mm steel spacers and a sticker.